What's summer without strawberries? Come out to the 78th Annual Strawberry Festival on Saturday, June 6th for an event for the whole family. The all-day event features tasty finger foods, desserts, vendors, performances and of course the PMFS strawberry shortcake in line with the festival's tradition. Visitors can expect Give and Take Jugglers along with local musicians. 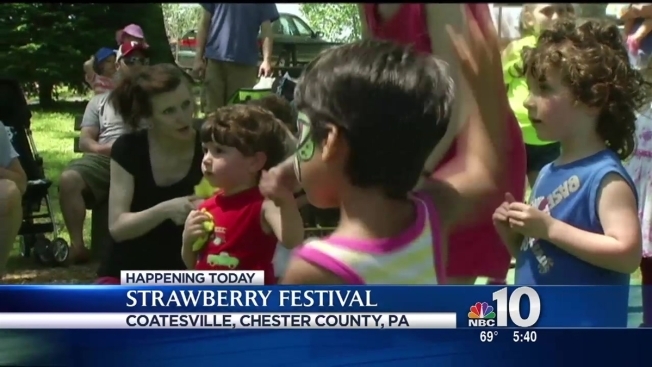 This year, the fest will also be hosting the Strawberry Scramble Kid Run, where kids ages 6 through 12 can enjoy a half-mile obstacle. The festival kicks off at the school's campus off of Germantown and Butler Pikes at 11 a.m. through 3 p.m. and is open to the public. Free parking will be available at the Meeting House Business Center office on Germantown Avenue across the street from the school. For more information, check out the PMFS website or contact Genevieve Schmidt Camacho at 610-828-2288.